Redman Design has created designs for The National Museum of the Royal Navy in Portsmouth, marking the centenary of the First World War. 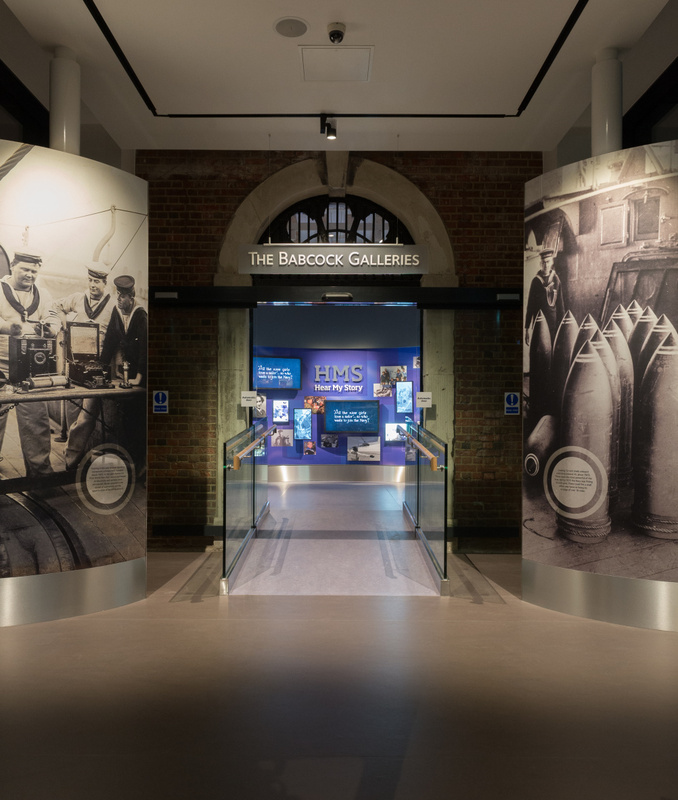 The consultancy has worked on exhibition design for two major new spaces – HMS Hear My Story, the Museum’s new £4.5 million permanent galleries, and ‘Racing to War: The Royal Navy and 1914’, a new major temporary exhibition devoted to the outbreak of the First World War. 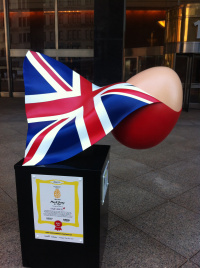 The National Museum of the Royal Navy appointed Redman Design to the project tin 2010 following a credentials pitch. The Redman team included Stephen Marsh, senior 3D designer, and graphic designer Patti Tuxworth. 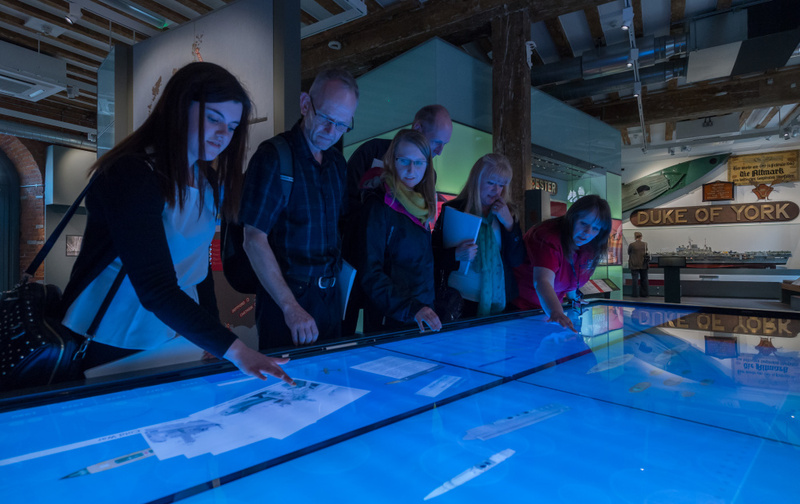 Both exhibits are housed within former storehouses, previously hosting a shop and a temporary exhibition space. 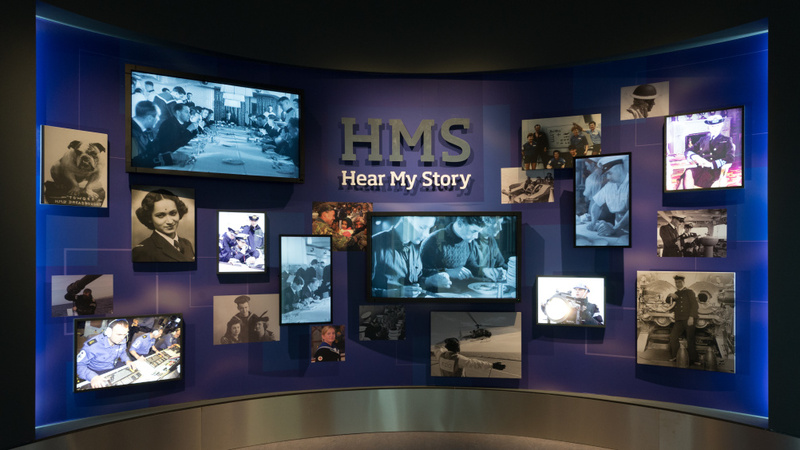 The HMS Hear My Story galleries will document the Royal Navy’s history over the last 100 years, featuring ‘1000 stories’, according to the museum, of men, women and ships. 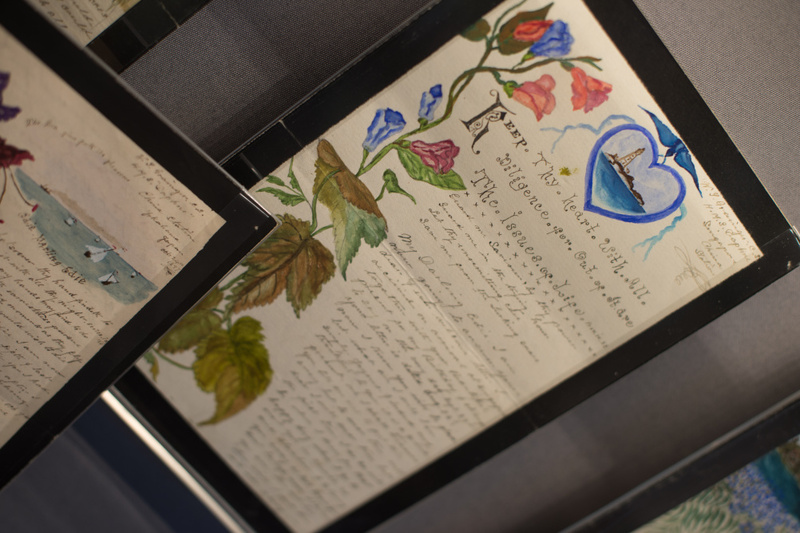 These are narrated through video and sound works as well as object displays including a four-inch gun from HMS Lance, which fired the first British shot of the First World War on 5 August 1914, unpublished love letters from a serving Chief Stoker dating back to the First World War and the damaged motorbike of a suicide bomber from Afghanistan. 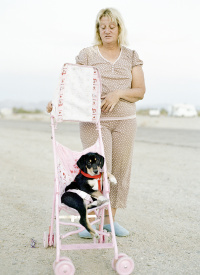 ‘What’s been particularly interesting is that the stories we’re telling are still within living memory’, says Redman. 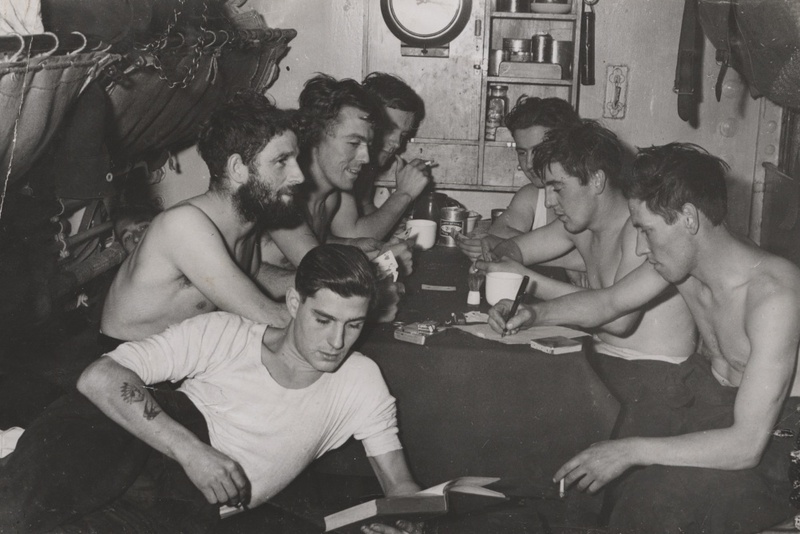 ‘We’re hearing about the people and the personal objects – they’re all telling their own stories about the Royal Navy, so it’s a very personal experience. The first thing you’ll see are faces of naval officers’. 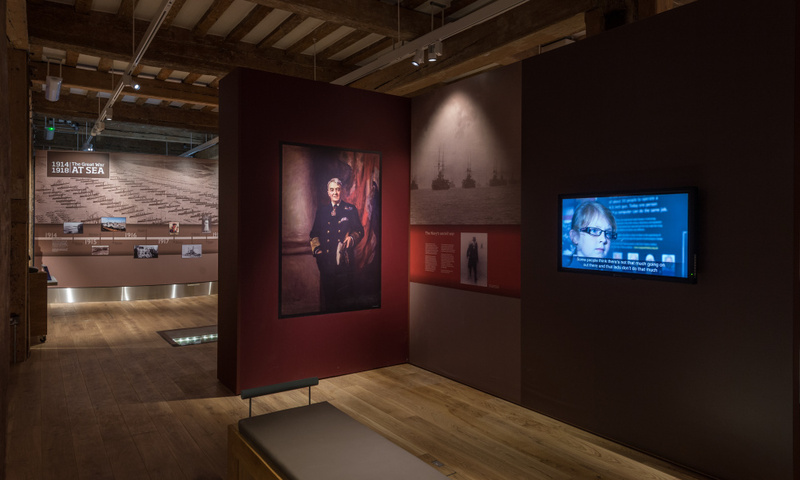 Audio points are situated throughout the gallery, allowing visitors to listen to crewman discussing their experiences, such as life on submarines. At the centre of a gallery will be an immersive audio-visual show which Redman says is ‘much more dramatic’, retelling the stories of conflicts such as the Battle of Jutland in World War One and the Falklands conflict. 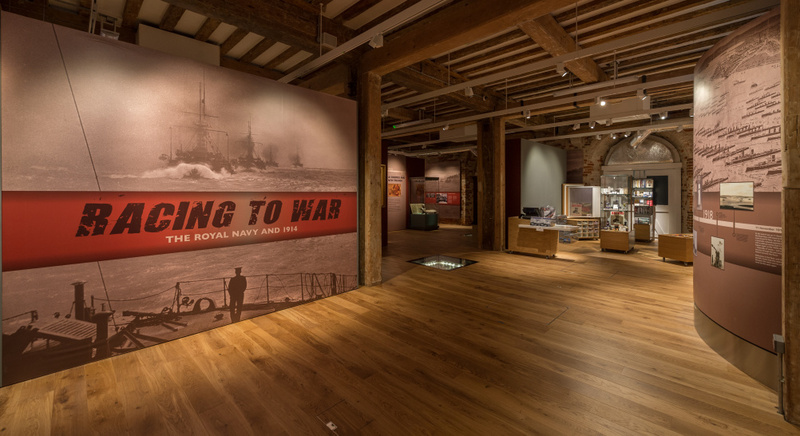 The temporary Racing to War exhibition shows the role of the Royal Navy in the First World War, looking at the building of the Grand Fleet and people such as Winston Churchill and Sir John Fisher, First Sea Lord at the outbreak of the war. A third space new space designed by Redman Design sits between the permanent and temporary exhibition space will be used primarily as an education space for visiting school groups, and will also house interactives. 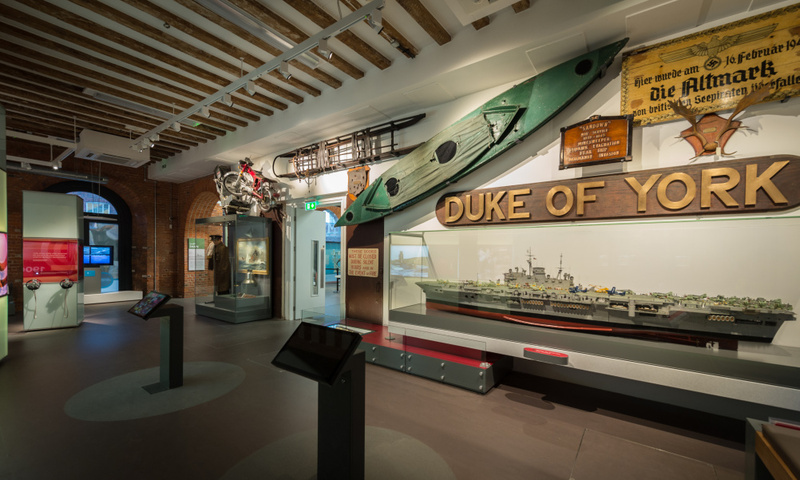 The new spaces open next week, coinciding with the museum’s relaunch of the HMS Alliance following a £7million conservation and restoration project. HMS Alliance is the only surviving World War Two era submarine. Surely the graphic designer is Patti Tuxworth not Pitti Tuxwort. Please check your facts before publication.